Schedule a Tour Whether you’re interested in working directly with patients, or would rather contribute to health and wellness in a Medical Admin position, NTI has a program to fit your goals. Our Medical Training School is designed to help you advance your career in the noble profession of healthcare. The Administration portion involves Computer Applications, Coding & Billing, Office Procedures, the role of Clinical Medical Assistants and more. Emphasis is placed on the safe practice of collecting adequate and correct blood specimens by capillary or venipuncture. Medical La Assistants help scientists and medical staff to diagnose and treat patients and play an important role in the diagnosis process. Looking for a professional career with rewarding work opportunities? 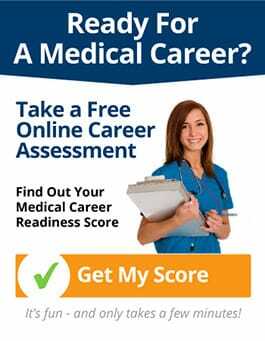 Medical Billing & Coding could be an excellent career for you. This advanced, in-depth program covers Anatomy and Physiology, Basic Pharmacology, Electronic Health Records, Medical Billing, and more. Is a Career in Healthcare Right for You? Find Out! Take the "NTI Healthcare Career Readiness Quiz"
The best way to see if going back to school and training in a Medical position is right for you is to visit the NTI campus nearest you. You can tour our modern facilities and meet with our instructors who work in this field. For more information or to schedule your free campus tour, fill out the form on the side of the page, or call 1-800-447-1151 today.